Nickel Moon — Musings and General Mahem. That and a nickel will get you coffee. 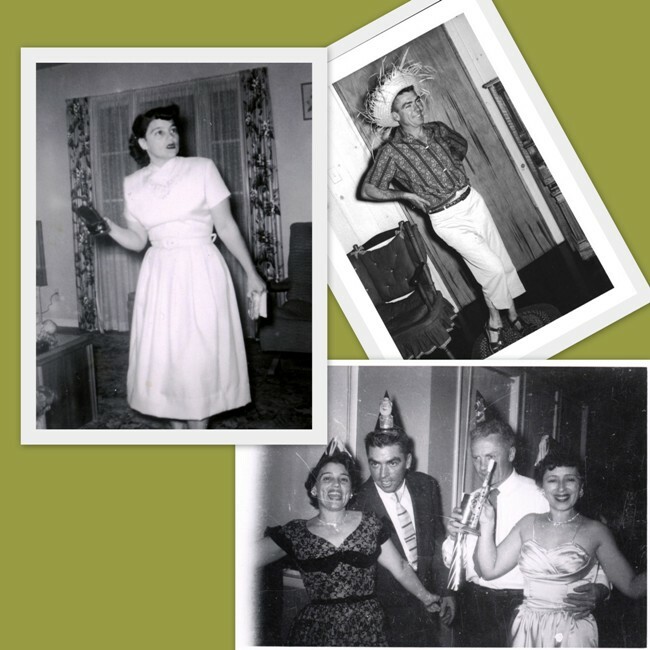 I have vivid memories of my mom and dad going to neighbors’ houses for cocktails and dinner, sometimes cards. Of course, this was the 50’s and everyone still “dressed up”. I remember so vividly a butter yellow polished cotton dressed that had beautiful orange, lemon & lime citrus slices, cinched waist…My dad often wore a tie then, even though he was a contractor and did not dress that way for work. Funny how some things stick in your mind. “Things that fit on toothpicks” is the way some one recently described the food at cocktail and card parties of that era. Friday Night Cocktail Dinners in the neighborhood were always buffets, or toothpick based hors d’oeuvres. Sunday’s get-to-gether was with all the kids, and were mainly BBQs, potlucks and cocktails. See the picture of my dad below with the hat—that was an Island night celebration. Yep…they had themes! There were always the cocktails. Someone always played bartender, and mixed the favorites of the day: Manhattans. Old Fashions. Gimlets. Tom Collins. Screw Drivers. My folks went to Mexico early in the 50’s and brought back the Margarita to their neighborhood. Mom loved them all. As long as they were on the sweet side! You see, she didn’t really “drink”, but she sure loved to taste! I mean, my mom never finished a drink—didn’t matter whether it was coffee or a cocktail. The coffee got cold, the cocktail watered down—she sipped. She tasted. She laughed. She mixed her wine with coca cola, and her gin with Rose’s Lime Juice. She loved Crème de Cacao. She liked her margarita’s heavy on the juice, light on the tequila. She very occasionally would sip straight scotch. She was a woman of many sides. I can remember several times cleaning out the liquor cabinet with her: we would taste ever thing that was in there. Little thimble sized shot glasses of things that had no labels, and those that perhaps were long past their prime. It was fun. After she and Dad died, my brother Jim and I, along with his wife Karen made a ritual of tasting everything that was left. We used those little thimble sized shot glasses and thought of Mom, and her cocktails. Last year I joined some friends in making my own bitters. Since Mom & Dad had long collected antique bitters bottles, I used that to inspire what I concocted on my own. I also was inspired to start making my own liqueurs again. A good supply of alcohol was secured and cauldron was put back into use! Of course, making all these special brews demanded that I start experimenting with different cocktails myself. Happy times ensued. Recently my good friend Barbara Kiebel from CreativeCulinary.com asked me to participate in the very special anniversary of her Friday Cocktails event. I was very pleased to accept. You can find a link to her roundup post on Friday Cocktails (over 30 of them!) here. And of course you can find us all drinking cocktails using the hashtag #fridaycocktails on Twitter. 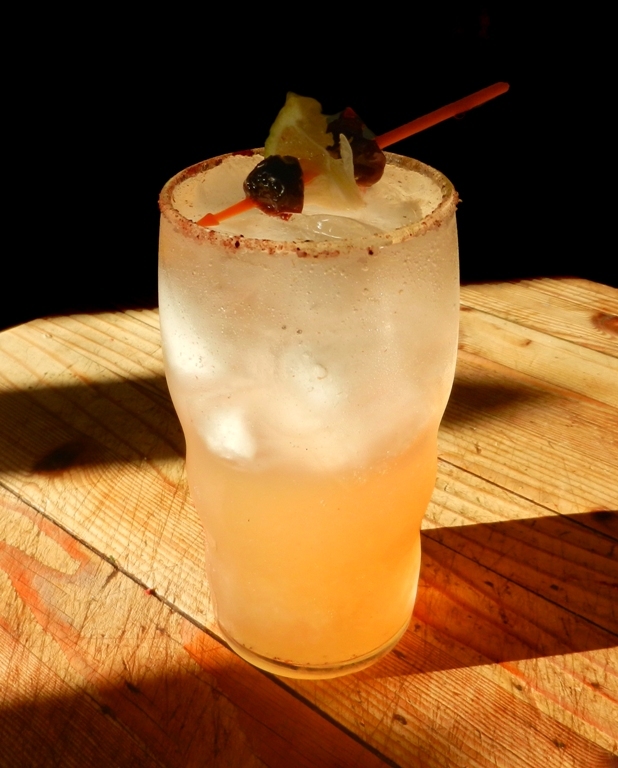 Rub the rim of each 12 oz glass with a lime wedge. Dip the rim in the mixture of sugar, salt and cardamom. Fill the glasses with broken ice cubes or crushed ice. In a cocktail shaker, add a few ice cubes, all liquid ingredients, and shake vigorously. Divide equally into the 3 glasses, fill the remainder of each glass with club soda and garnish with lime wedge and a few Luxardo cherries. Note: For my party, I had three bottles labeled as 1, 2 & 3 and let people mix their own in 8 oz jelly jars. I mixed the right amount of lemon juice and the bitters into the syrup. * I like to use any good anejo, but use your favorite tequila. ** Homemade, this was done with oranges & clementine’s, cardamom, cinnamon, star anise & black pepper soaked in neutral spirits (like Everclear, but this is not available in all states), then a 50% sugar syrup added. Aged for 9 months. Cointreau can be substituted. *** Also homemade, this was on the bitter side because I stewed the whole fruit with sugar & a small amount water and then strained. You can also make a simple syrup with some orange juice for this. See that face? He’s maybe 6 or 7, and not happy that he has to sit with the “baby”. That being me, two years younger, and happy as a clam to be with my “big” brother. I am happy to say that over the years, he softened that look and became my defender, my confident, my teacher, my friend. Oh, believe me: we had the struggles of the teen years and the estrangement of the 20’s, but that is a story for another time. My brother is one smart guy. There is nothing he cannot do, and if he wants to learn something, he does it from the ground up. Interested in pottery, he decided to build a kiln so he could really understand the process. He machined all the parts for it too. When our parents aged, and as the sibling living closest to them, their care became a big part of his life. We talked often, and as events and illnesses progressed, we became closer as the tough decisions had to be made. I could go on for pages about Jim: his kindness, his commitment, his never give up attitude, but this is about us & bread. He gently prodded me for years to quit working and when I finally did, he was delighted. Perhaps even more than me. 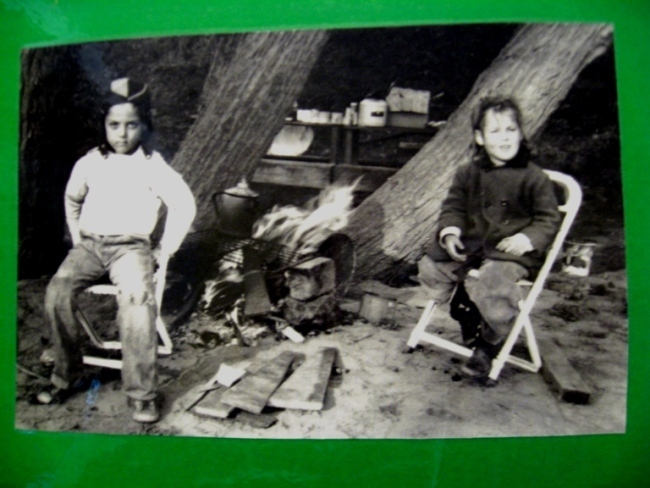 Pundits say that the bond between siblings can be stronger than that of parent to child. I don’t know about that, but I know that there are few people I would rather spend time with than Jim. One of the first things I did when I quit working was to start a sourdough starter. In another life, one from a million years ago I had one on my sink for years. I baked bread every day, for a lot of people, and although I didn’t always use sourdough as a leaven, I used it often. A twitter-found friend sent me some starter. It sat in the fridge while I was in Italy saving, er rewarding myself. When I returned I fed it. I dusted off a copy of Bread Alone, and started looking at the internet and some some sites devoted to sourdough. I started to bake. And take notes. And bake. So much bread! My neighbors and friends benefited from this obsession. Somewhere in the middle of all this, Jim came down to visit. We talked about how basic this bread was, how elemental: just flour & water, and some patience and a fine loaf can be had. He left with a portion of my starter, and the need to know if he could make an eatable loaf from the 700 lbs of hard red winter wheat he has stored. Of course he could. Now he bakes a loaf very few days, using his own stone ground whole wheat flour, and makes a great loaf using a sourdough starter. You can see his bread pages here. Jim’s Bread. Make sure you scroll all the way down to see the lovely whole wheat loaves. I have thought a lot about bread and why it held such significance for me. My dad baked bread every few days until right before he died. My mother collected bread crumbs. I wrote about baking bread & my Dad and Mom here. I have been following a number of the #baketogether group on twitter for some time. 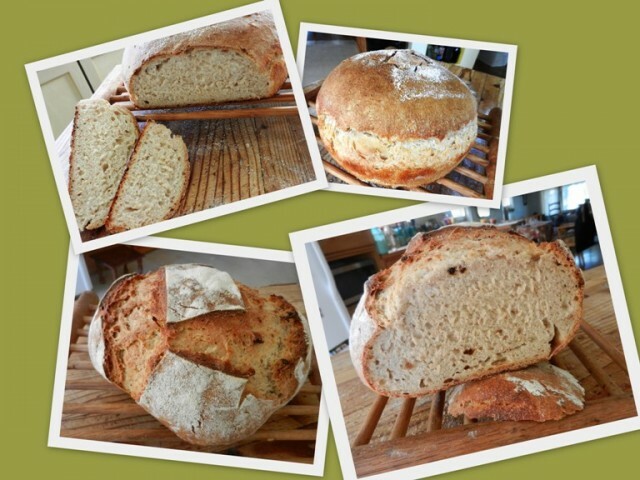 This months’ peasant boule challenge from Abby Dodge’s bake together seemed a perfect way to refresh the starter after the holidays and bake a loaf. I decided that I would do a breadcrumb loaf using sourdough as my main leavening agent. This loaf uses left over breadcrumbs for texture & color. I baked the loaf three times. Two are shown in the picture below. The one on the top was baked using a ring to hold the slightly wetter dough. The one on the bottom was a dryer dough from a long ferment time in the fridge, and was free form. Mix for a minute, then let rest in the bowl for 5 min. Add *2 teas salt and knead on low for 6 minutes. Put in an oiled container-I use a plastic shoe box, or the proofing bowl. Let rise for 3 hours with folds at 60 min & 2 hours. Preheat oven to 450, and prepare it for steam. ( use a shallow pan on oven floor) When the oven is hot, make quick slices in the top of the bread, and then slide the sheet with the boule into the oven. Put a small amount of cold water in the shallow pan. Watch out for the steam. Quickly close the oven door and turn the oven down to 400. Bake for 25 minutes, or until 200 degrees inside (use insta read). Let cool for at least an hour before slicing, if you can.